IX.2.21 Pompeii. March 2009. Room 3, ala, on west side of atrium. 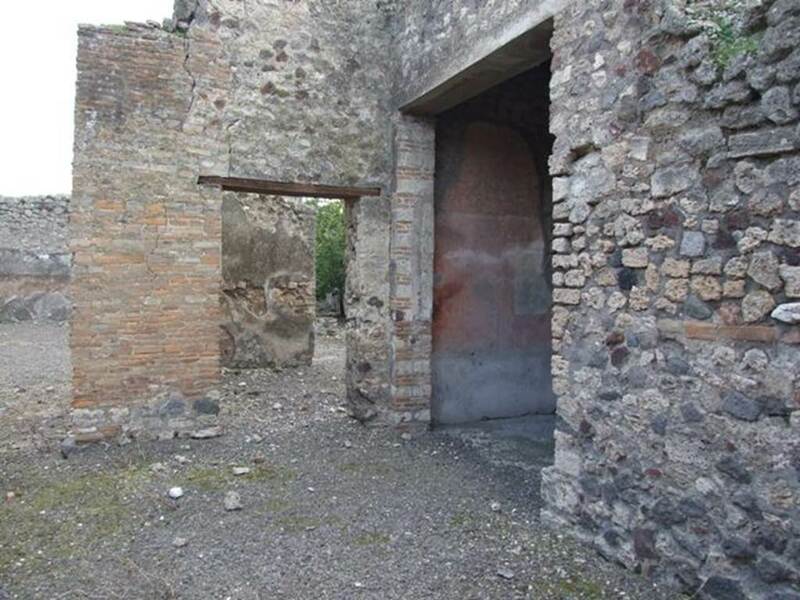 IX.2.21 Pompeii. March 2009. Room 3, west wall of ala. The floor of this room would have been cocciopesto with irregular polychrome marble tiles scattered in it. 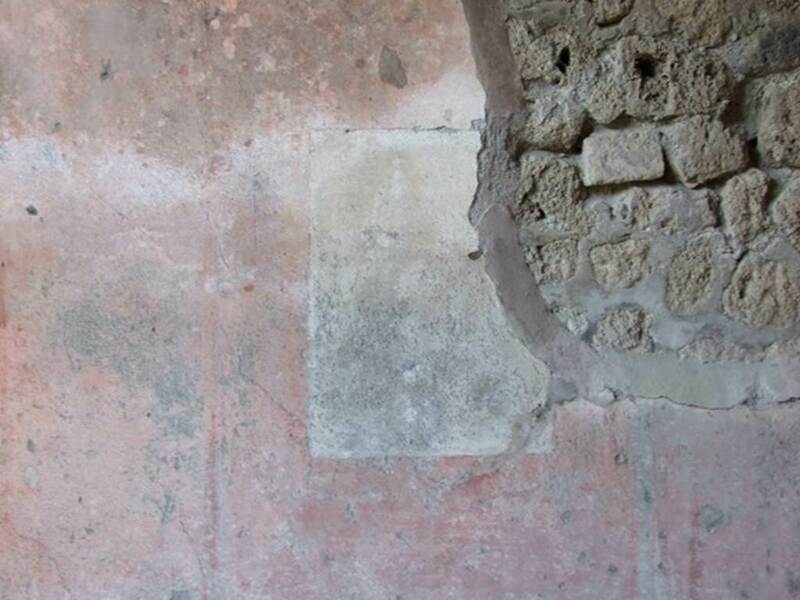 The walls would have been painted with a high black dado/zoccolo, the zoccolo would have had a simple geometric design on it. 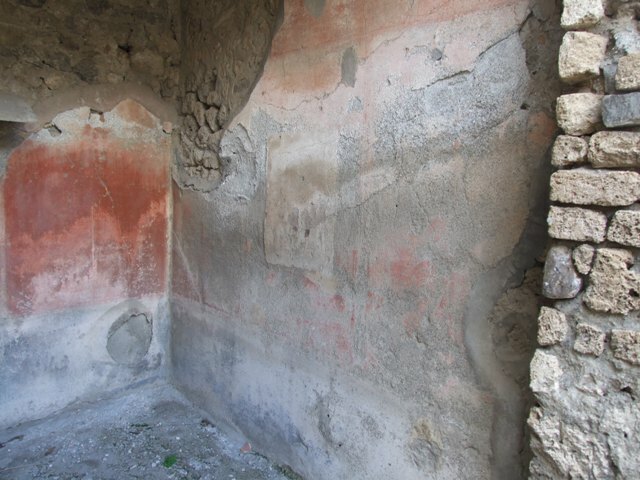 On the west wall the middle zone of the wall was painted as a red aedicula with a central painting, and red side panels. IX.2.21 Pompeii. May 2005. Room 3, wall painting on west wall. 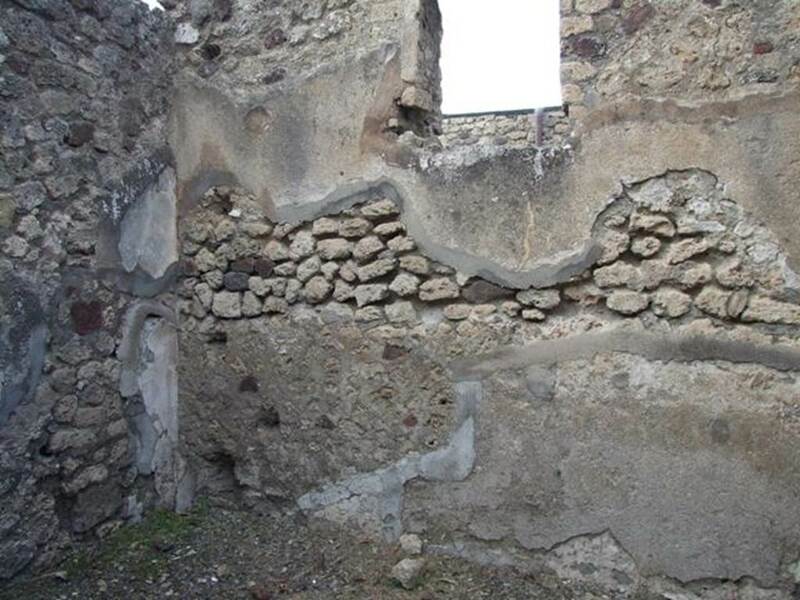 IX.2.21 Pompeii. March 2009. 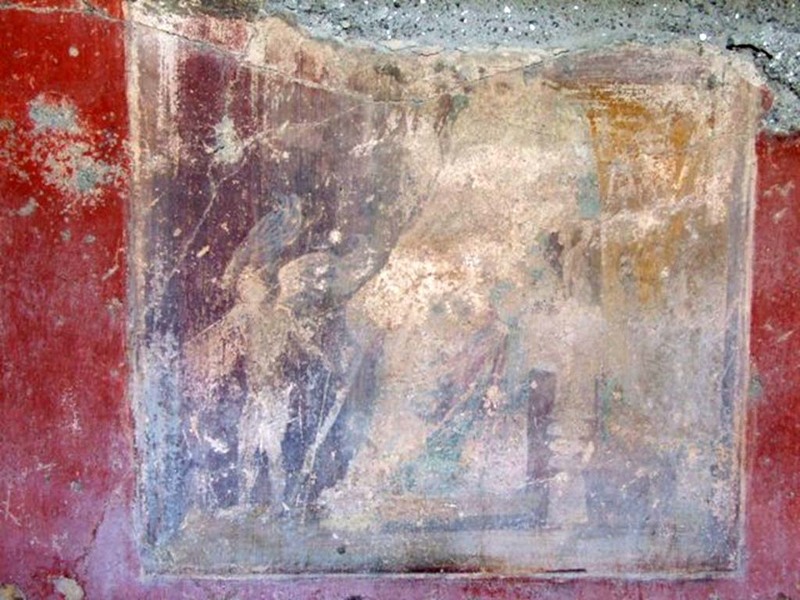 Room 3, west wall, remains of wall painting of Venus and Cupids. The top of the painting was missing when first excavated. IX.2.21 Pompeii. May 2005. Room 3, wall painting of Venus punishing cupids, from west wall. See Pappalardo, U., 2001. 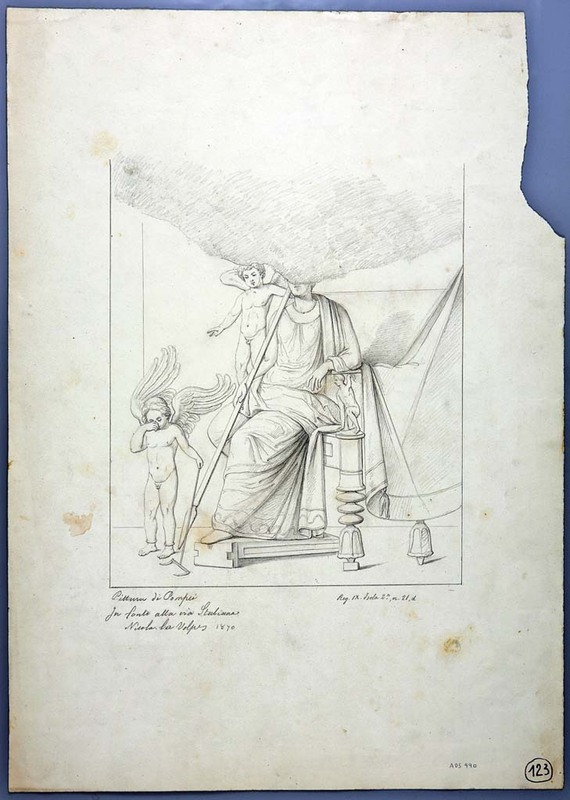 La Descrizione di Pompei per Giuseppe Fiorelli (1875). Napoli: Massa Editore. (p.143). IX.2.21 Pompeii. 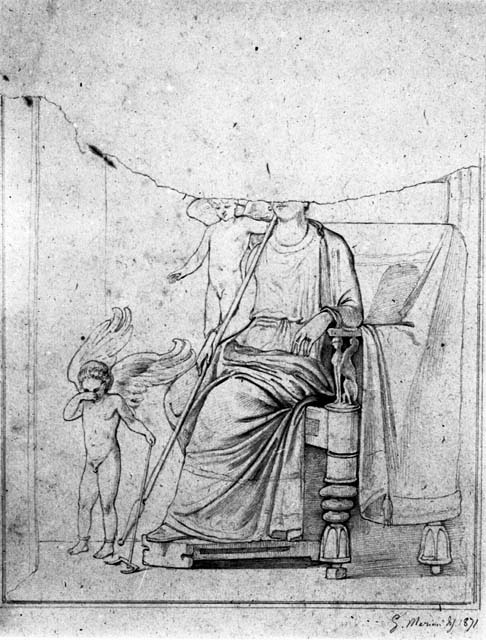 Drawing by Nicola La Volpe, 1870, of painting of Punishment of the Cupids, from room 3, centre of west wall. 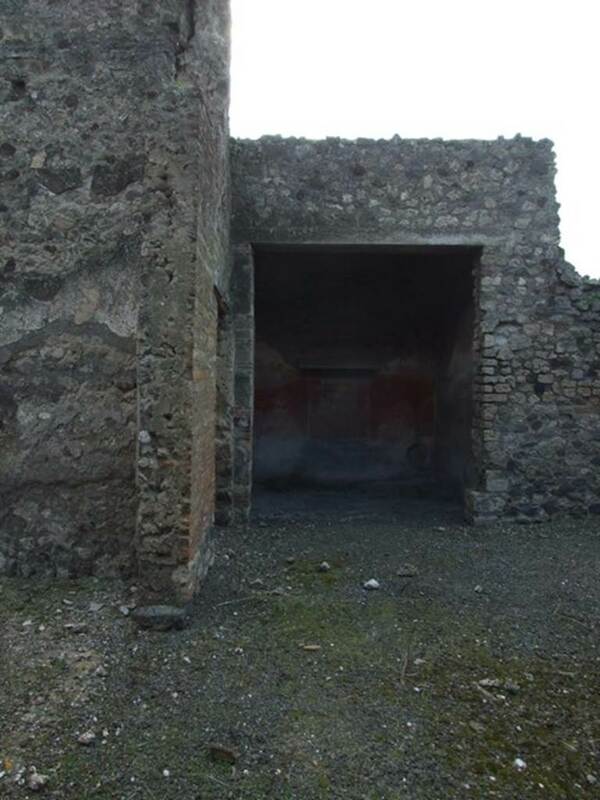 IX.2.21 Pompeii. W.363. Room 3, wall painting of Punishment of Cupids, from centre of west wall. 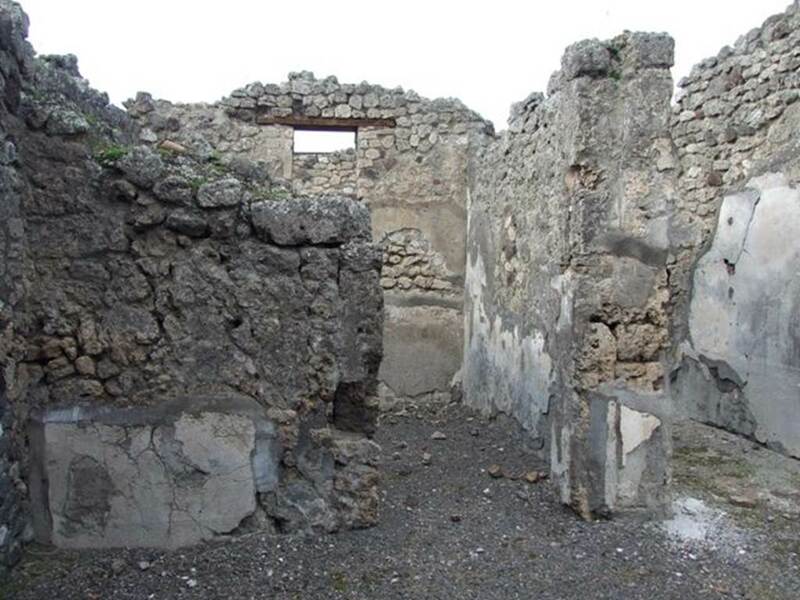 IX.2.21 Pompeii. March 2009. Room 3, north wall of ala. This wall would have had a black dado. 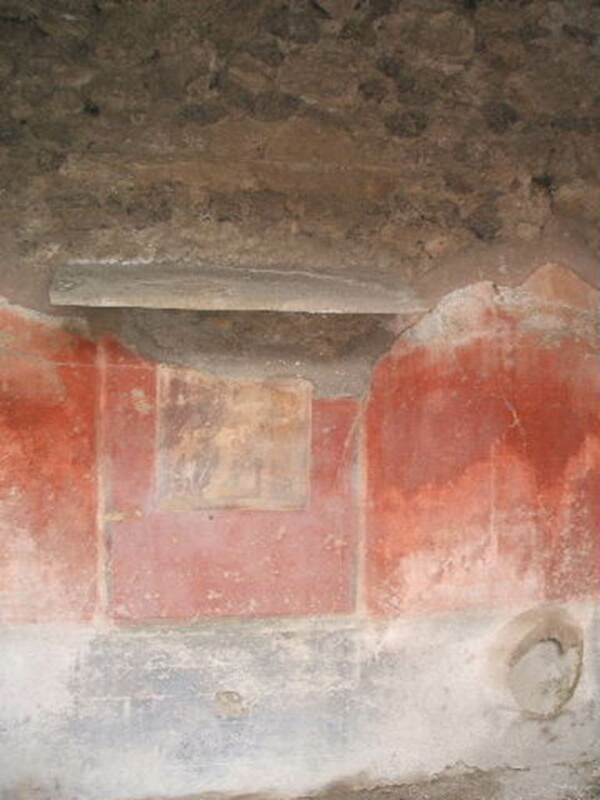 In the red middle zone of the wall was a painting, possibly of a figure sitting and a figure standing. 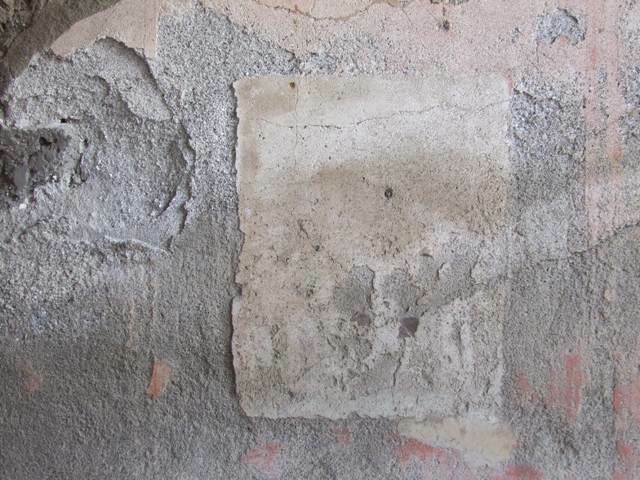 The upper zone of the wall was discoloured. IX.2.21 Pompeii. March 2009. 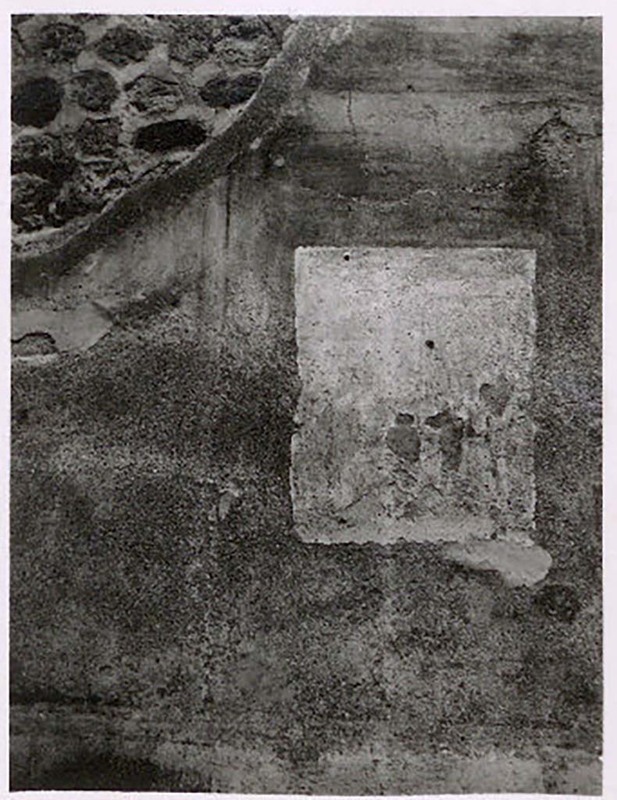 Room 3, north wall of ala, remains of wall painting. IX.2.21 Pompeii. March 2009. Room 3, south wall of ala.
IX.2.21 Pompeii. March 2009. Room 3, south wall, remains of wall painting of Ariadne giving the ball of thread to Theseus. IX.2.21 Pompeii. March 2009. 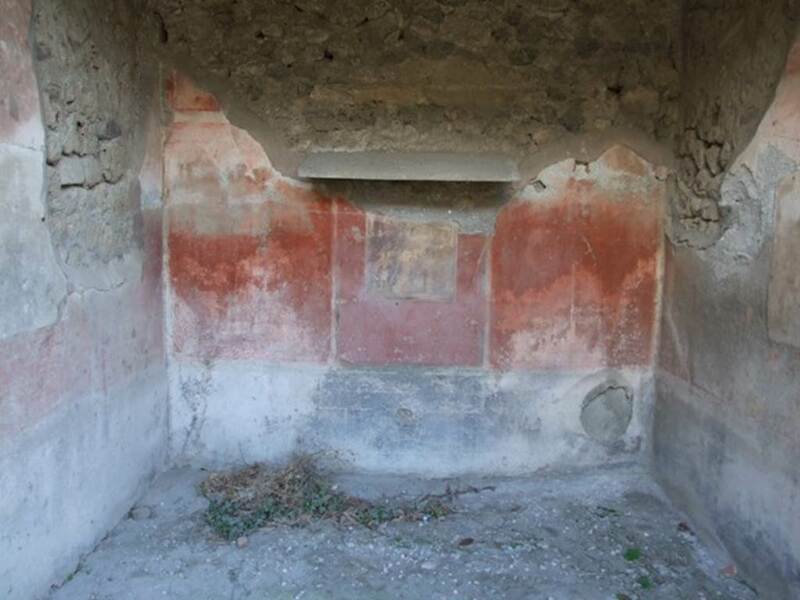 Room 4, cubiculum. Doorway on west side of entrance corridor. 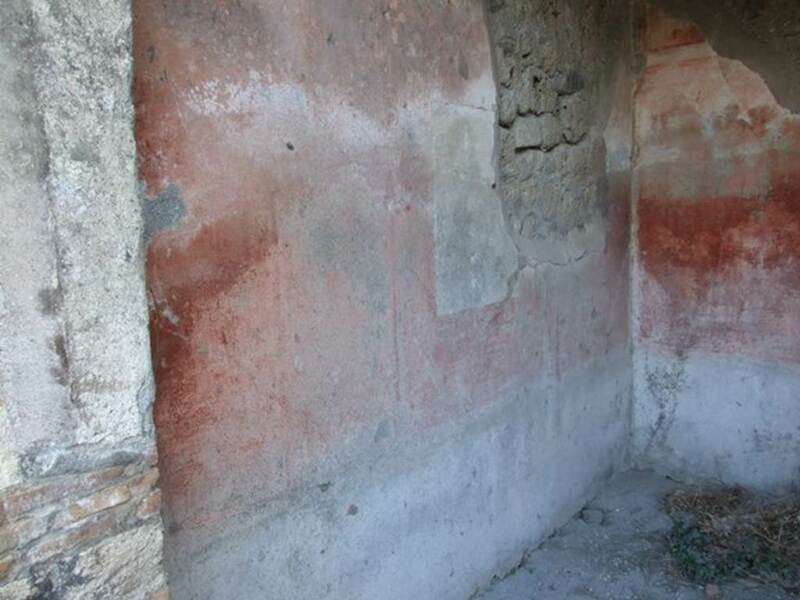 According to Sogliano, paintings of cupids were seen on the walls in this room. A flying cupid (p.57, no.299), a flying cupid with a fan in the shape of a leaf (p.58, no.314) and a flying cupid with a plate (p.60, no.333). See Sogliano, A., 1879. Le pitture murali campane scoverte negli anni 1867-79. Napoli: Giannini. IX.2.21 Pompeii. March 2009. Room 4, north wall of cubiculum, with window. IX.2.21 Pompeii. March 2009. Room 1, atrium. Looking south-west across towards room 3, and room 5.